Len is a “control” character. You have to use your zoning tools to control the match as much as possible and tilt it in your favor. As she is squishy, you have to think twice before committing to something in combat. 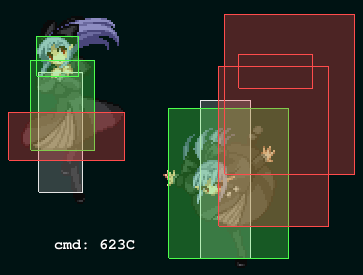 In addition, she lacks a decent reversal, which makes her even weaker against opponents that lock you down easily. I like to classify her three moons as follows: Crescent, focused on okizeme; Half-Moon, focused on mobility; Full Moon, focused on damage. F-Len has the most peculiar zoning tools, the mirrors (214A, 214B, … ), that are very helpful since they provide unique control options and can even help in pressure. Mastering these tools at a high level is very challenging, as it requires experience and good reads since one poorly timed mirror can cost you the match. The focus of this guide is on showing how can you start with F-Len, with basic and advanced combos and mirror tricks. But the main key to mastering her is to practice a lot and learn to use her unique tools, as with any other character. Mid screen or in the corner. This is her main BNB. Focus on learning this combo, as it’s easy with a bit of practice and does good damage. 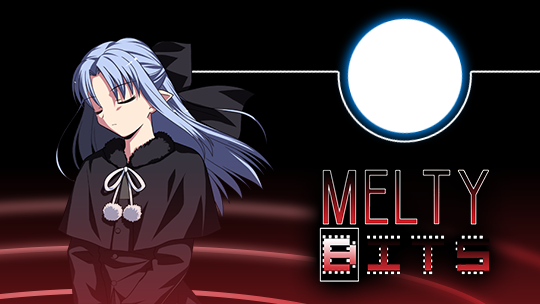 Mid screen this works only on specific characters, but is universal in the corner. This one is even easier than the ground one, when used on the corner. Character specific when mid screen. Works against any character and can be used mid-screen or in the corner. Usually you can just throw the opponent at the mirror, after an air or ground throw. After a simple ground combo, and throwing at a horizontal mirror (214 A or j.214A). Those are usually hard to land, since the horizontal mirror causes a wallbounce. After a simple air throw combo, and throwing at a ground vertical mirror (214B or j.214B). Place a j.214B mirror in mid-air to do this one. It´s a bit hard to land, but the damage is great. You literally have to move your opponent to the mirror, and without an air throw. See the linked video. Ground combo, in the corner or midscreen. Ground combo in the corner, grants okizeme with a mirror, only works on taller characters. 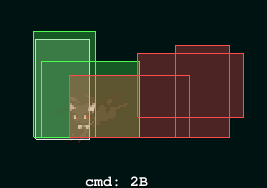 If your opponent uses projectiles that can be reflected, you can leave a single mirror in the middle of the screen (214A or j.214A) to limit their zoning. You can also spam these mirrors to assist with your own zoning. As an example, as soon as you release a 214A mirror, you can not set another 214A until the last one vanishes. However, you can instantly set aTK j.214A because the game recognises it as a different horizontal mirror. The j.214B mirror can be used to intimidate your opponent and make them afraid of going over you. Place the mirror and lure your opponent to fight near it, as they cannot tell exactly when you’re going to activate it; that uncertainty itself is a form of pressure. If the mirror hits, you can get a good combo. The projectile mirrors 214A, 214B, j.214A and j.214B can NOT be shielded by the opponent. Keep that in mind to improve your game control! Another excellent zoning option is 5B. It covers a wide area that can be used to zone out your opponent, and when it hits, can be confirmed into air combos. 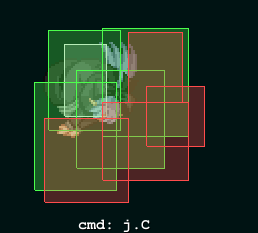 j.A can be used to trade hits in mid-air, since it hits faster than her other air normals. Try to fish for counter hits with it. j.B is faster than her j.C, hits horizontally (situationally useful) and followed by a j.C can be used to apply fuzzy guard. j.2C can be spammed, since it hits multiple times. However, it cannot be followed up by other moves to combo, unless it single hits as a counter. 2B has nice priority and better range in this moon. When it connects, it grants a hard knockdown. 236X is another control option. 236A is a slow fireball, 236B is a faster one and the super 236C is slower, but hits multiple times. Be mindful when using them, since they leaves you open. Your main focus in pressure strings will be applying frametraps (abusing of the priority of F-Len’s normals), tick throws and punishing jumps. Also, to break the opponent guard, the j.C fuzzy guard can be used, if setted up correctly. 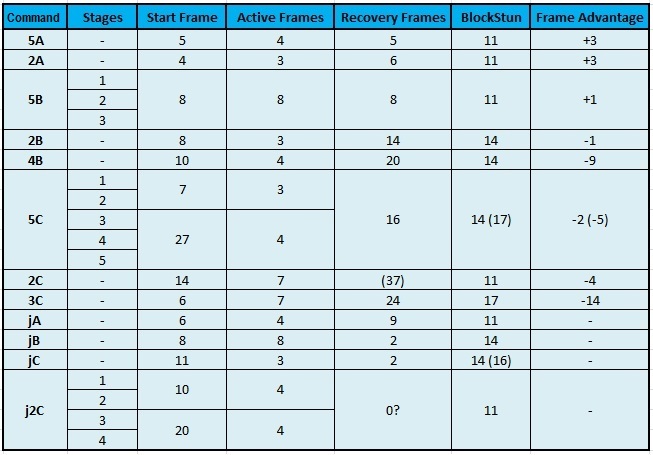 Depending on your play style, you can focus on combos that give you okizeme or ones that put the enemy in a “tech punish” situation. Most Japanese players focus on the latter since they do more damage. Other than that, you can easily tech punish your opponent with F-Len’s 5B. 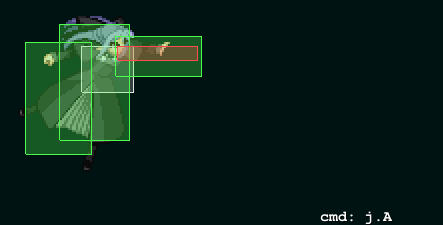 This move has good range, and can be linked to her other normals (5C, 2B, 3C) to confirm a combo. 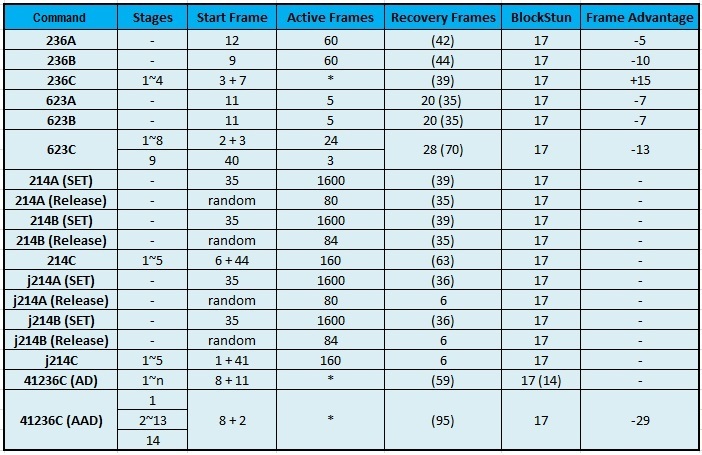 Her AD and AAD can be used as reversals, and are very good options. Be mindful on when you use them, since they consume all your meter.